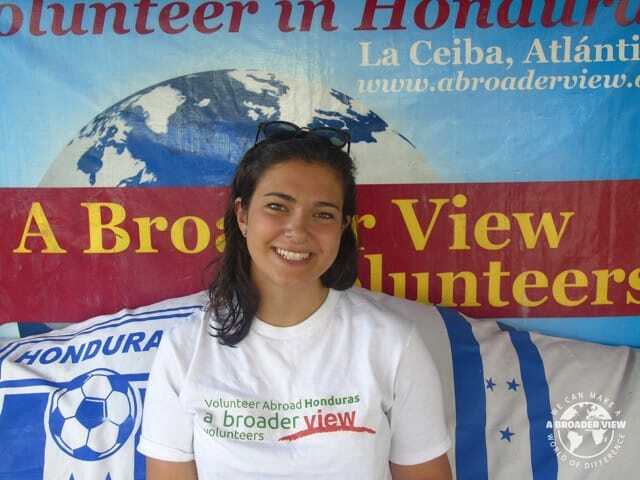 Volunteer Honduras Learning Spanish is easier now more than ever by joining a language immersion program. Learn from native Spanish speakers in a comfortable one-on-one(two) environment. Learn at your own speed and determine your own syllabus with the input of your teacher. Enhance your lessons by living with a local Honduran family and volunteering in a community project also. 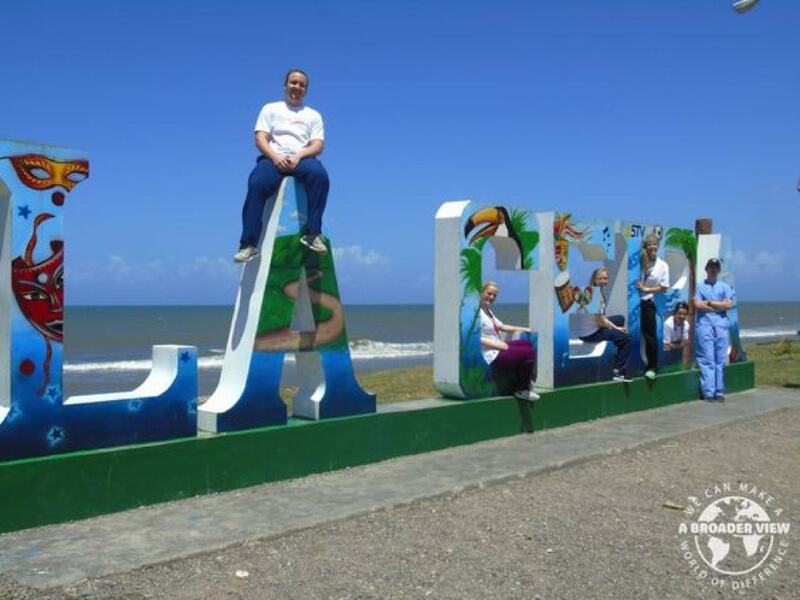 Language Immersion classes can be combined with any of the La Ceiba based volunteer project: teaching, medical, orphanage support, pre-medical. 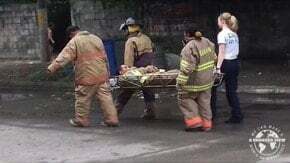 Lessons are provided by licensed instructors. Focus will be on pronunciation, grammar, and conversation/dialogue. 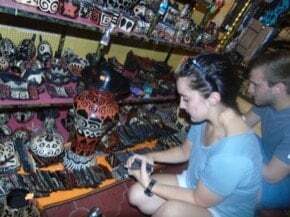 Volunteer in Honduras with A Broader View Volunteers a top rated non-profit charity organization, which works tirelessly to support our wonderful volunteers and serve the local communities where our volunteer programs are located. Placements in Honduras are based in the city of La Ceiba. 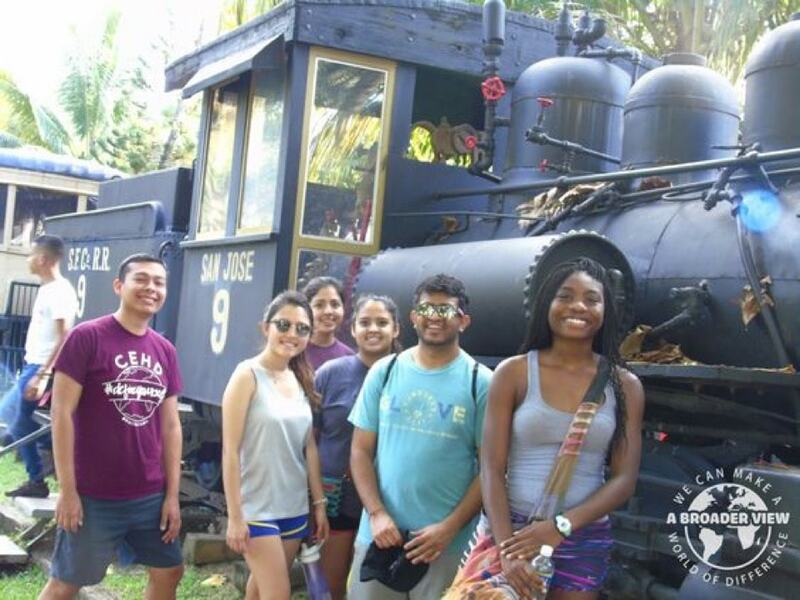 Program placements are tailored to the volunteers different interests and skill sets, but still allow volunteers time to explore the Central America local culture and activities during their free time. 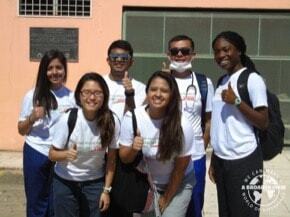 The type of programs in Honduras vary widely, offering everything from education to health care. 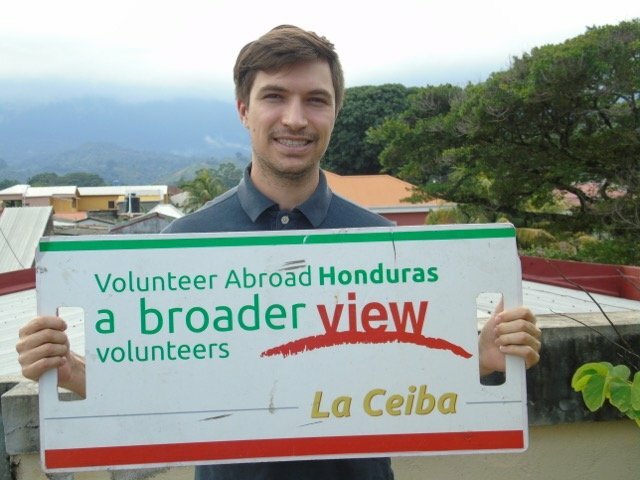 Volunteers can choose between 9 options in La Ceiba. 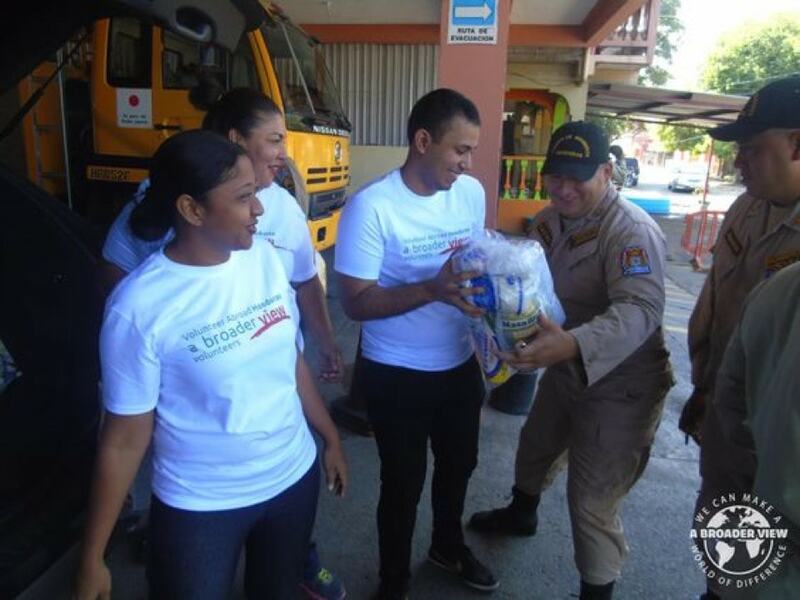 International volunteer help is not only appreciated by the local community, it is severely needed by the millions of Hondurans living below the poverty line. 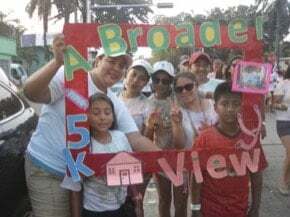 With thousands of children living and working on the streets, as is so often the case in developing countries like Honduras, our volunteer programs are designed to support the needs of local teens and children in desperate need of assistance. Many of our volunteer abroad programs cater to underprivileged women and children’s care, education and health requirements. 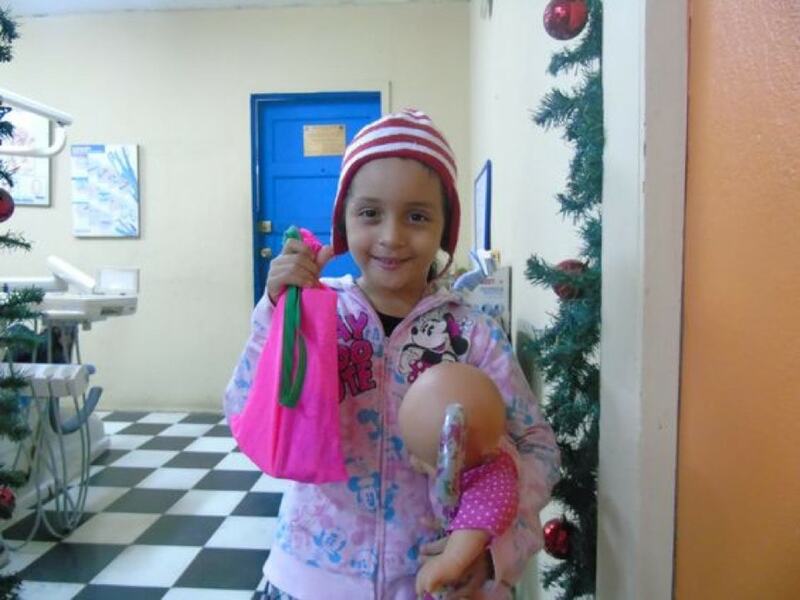 Our extensive range of social programs in La Ceiba, Honduras includes: medical, nursing, EMT and dental, Elderly care, woman support, internships, teaching in primary and secondary schools and volunteering in orphanages and day care centers and many more programs. 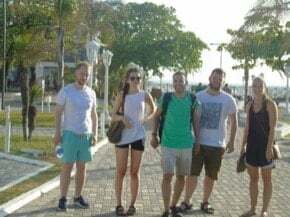 To help you settle into your placement, we also provide the opportunity to combine all of our programs with Spanish Immersion Lessons during your time in Honduras. Volunteering in Honduras is an incredibly rewarding experience. We welcome volunteers of all ages and from all backgrounds to join us. 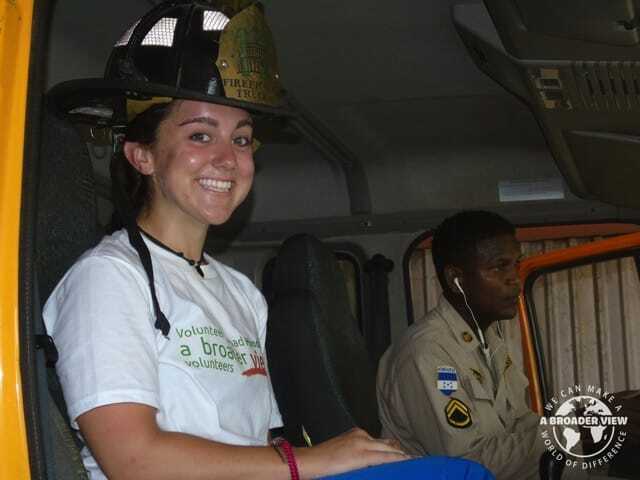 Whether you’re seeking volunteer abroad programs for college students or voluntary work for over 60s, as a trusted non-profit organization which prioritizes the safety of our volunteers, we are the go-to for volunteers across the globe. 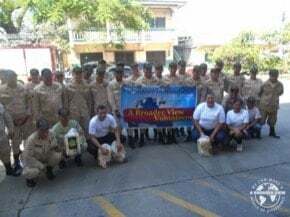 We also offer customized programs with flexible arrival dates to best suit the needs of the remarkable volunteers we depend on to help us make the world a better place. 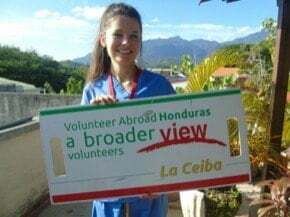 If you’d like to volunteer, Honduras is just one of the countries we’ve taken under our wing, supplying a steady flow of volunteers and providing year-round financial support to local projects in La Ceiba. Wherever you decide to volunteer, A Broader View give you the opportunity to participate in meaningful community service work, learn a foreign language, make lifelong friends and discover that one person really can make a difference. Your search for the best volunteer abroad programs ends here – volunteer in Honduras with us and gain A Broader View of the world. Welcome to Honduras (Bienvenido (a) a Honduras 🇭🇳 ). My name is Rafael and I am your ABV coordinator while you are staying in Honduras. Our country has one big city, Tegucigalpa. 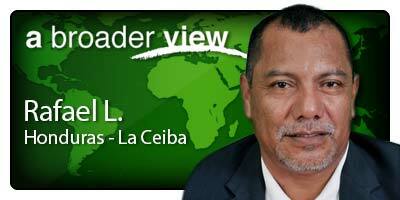 But you will be working in La Ceiba. I will be ready for support 24/7 in case you need to contact me urgently. I will introduce you to your volunteer location and staff. Honduras is located in Central America, bordering the Caribbean Sea. The climate varies from tropical in the lowlands to temperate in the mountains. The central and southern regions are relatively hotter and less humid than the northern coast. A lot of rain (rainy season) falls in the months of: January, February, March, April, June, July, August, September, October, November and December. On average, the coolest month is February. November is the wettest month. This month should be avoided if you don't like too much rain. We were always provided with 3 meals a day. The majority of meals consisted of rice, beans, eggs and tortillas and were prepared by the maid. The house has a secure gate at the entry and we never felt unsafe. Rafael and his family were very accommodating. I would not trade this month for the world. It has given me incredible into lives that are so far from my own. As cliche as it sounds, my life will never be the same and for that I am forever grateful.Absolutely amazing. Rafael and his entire family were warm, welcoming, and loving. Volunteering Honduras in the hospitals and walking through the neighborhoods vaccinating the community was one of the most unique and life changing experiences I’ve had. Our ABV Coordinator in Honduras helped us with everything we needed during our trip. Volunteers are provided breakfast, lunch and dinner at their accommodation during the week and weekends. Breakfast typically consists of toast, fruit, eggs, cereal accompanied with milk, tea or coffee. Dinner usually includes: meat (cow, chicken), beans, rice, vegetables, and a variety of tortillas, fish, plantains. Volunteers can be away from their accommodation mid-day so they take a lunch bag or they go back home. We recommend budgeting between US$5 and US$10 per day to purchase lunch if you don't return to the host family, let the host family know if you change the lunch plans. If you have specific dietary requirements, our local teams and home-stays can customize to you but be flexible as well. 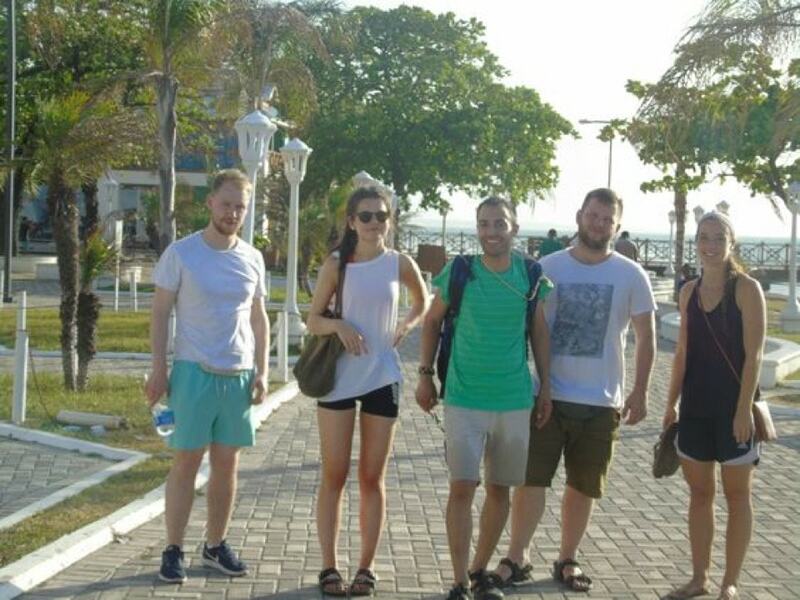 Launching off by ferry from la Ceiba , a one hour trip to the virgin white beaches of Cayos Cochinos will leave you in awe as you look back at the mainland with the magnificent ‘Cordillera Gracias a Dios’ towering in the distance. Coral reefs and pristine sandy beaches make up this archipelago of 13 cays – a “must see” on the Honduran North Coast. You will enjoy a tour of the islands, and a time of snorkeling while taking in the incredible tranquility of this marine biology reserve. Don’t miss trying a typical Garifuna style dish at Chachahuate Cay: fresh fish, plantains and fried rice & beans prepared with coconut milk. 7:00 am – 3:00 pm. Leaving from La Ceiba at 8:30 am by 4×4, with a 20 minute ride, the adventure begins: In the tropical forest of Pico Bonito, several trails trek deep into the lush vegetation – en route discovering butterflies, birds and many other species of wildlife. Following the Rio Zacate trail, we’ll have a beautiful view of the Caribbean Coast, reaching the magnificent Zacate Waterfall at 1:30pm. Hiking along the magnificent ‘Cordillera Gracias a Dios’, which has it’s highest peak in Pico Bonito will leave you breathless at the natural and sweeping beauty of a park that has made Honduras famous as a destination for eco-tours. 8:30 am – 2:00 pm. Home to the Caribbean Manatee, an endangered species that lives within the network of creeks, lagoons and coast line. There is a mixture both fresh and salt water, the reserve being right at the ocean’s edge. From La Union, we catch a ride on the old railway to reach this wildlife refuge, and then by boat or canoe we explore the mangrove lagoons. Literally translating to “Easter Week,” this festival is a multi-day celebration in March or April every year depending on the Christian calendar. The best place to witness it is undoubtedly in the Honduran mountain town of Santa Rose de Copan, which is close to the Mayan Copan ruins. Here there are six separate parades reenacting biblical events from the Easter story, and the effort and detail is a true spectacle. A uniquely Honduran festival celebrating the Garifuna community, Punta Gorda takes place annually on April 12. It commemorates the day in which 4,000 Garifuna people were placed on the island of Roatan, thus commencing their settlement of the islands and Caribbean coast. Punta Gorda has the biggest celebration, with many gathering here to take part in the festivities. 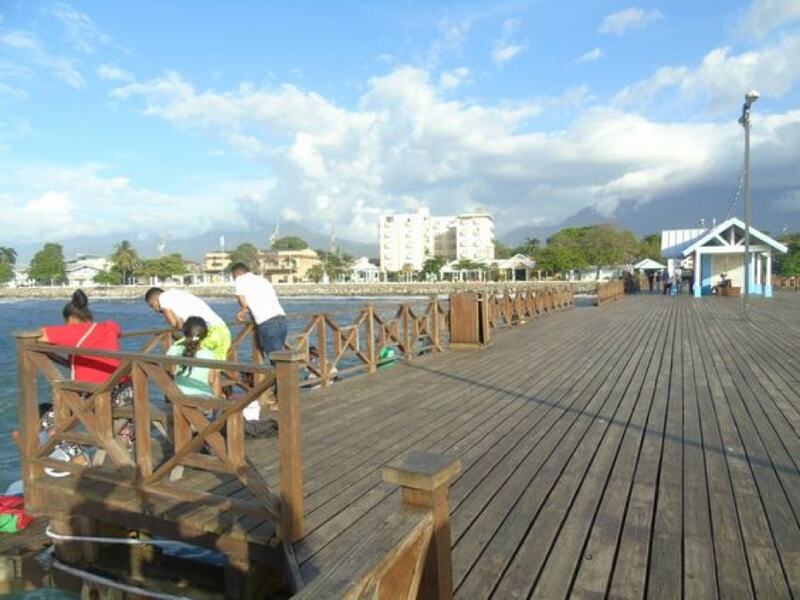 Held annually in the town of La Ceiba the week preceding the third Saturday in May, this festival sees over a quarter million Hondurans flocking to the town to take part in the celebration. It is a lively fun-filled event full of street pageantry similar to Mardi-Gras in New Orleans. Held the last week of June in San Pedro Sula, this festival has a host of live musical performances, eating and drinking. The climax is a parade down the thoroughfare of Avenida Circunvalacion on June 29. Held on the third weekend of July, this festival celebrates Garifuna culture and draws in communities from Belize and Guatemala, as well as Caribbean Honduras. It is held in the town of Bajamar, near Puerto Cortes, and is a huge party of drinking and dancing.